Mul-T-Lock is gearing up for the Transport Security Expo, which opens at Londons Olympia on November 13th 2013. Mul-T-Lock is gearing up for the Transport Security Expo, to showcase intelligent security offerings and demonstrate how its award winning electromechanical product portfolio and patented mechanical suites can work together to secure any transport application. The Transport Security Expo, which opens at Londons Olympia on November 13th 2013, offers world-leading experts an opportunity to debate the issues and new technologies that affect security against terrorism. Visitors to stand C12 will be able to see how Mul-T-Lock incorporates high security mechanical and electromechanical products in a Combined Solution to help those tasked with defining protective measures for passengers, cargo and high-risk assets. Featured on the stand will be Mul-T-Locks award winning high security WatchLock padlock, which integrates GPRS and SIM based communications to provide real time event and location information to your phone or computer. Mul-T-Lock CLIQ is a high security range of intelligent cylinders and padlocks. The simple retrofit solutions allow full audit trail capability from the lock or the key making management of a mechanical system flexible and convenient. Mul-T-Lock CLIQ Remote uses web-based software to allow transport companies and their contractors to have keys remotely authorised for use in operational areas. The keys can be programmed to be functional at pre-determined times  such as loading and unloading, as required by the system managers. At all other times, the key can be programmed to be inoperable. Also on the stand is Smartair, a high performance wirefree access control system, which upgrades existing door systems and handles to deliver access control capability and management locally. 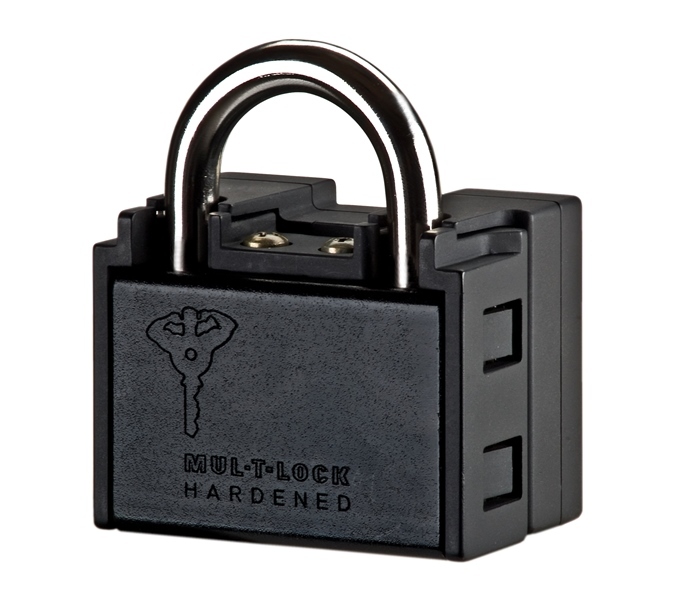 To satisfy the needs for high performance, heavy duty physical security, Mul-T-Lock will be demonstrating the unique HaspLock, designed to withstand extreme attack. HaspLock offers patented key security and the flexibility to accommodate the most challenging applications. Says Steve Ross, Managing Director of Mul-T-Lock UK: In the increasingly hostile modern world, the need for intelligence within products is necessary to maintain traveler safety.